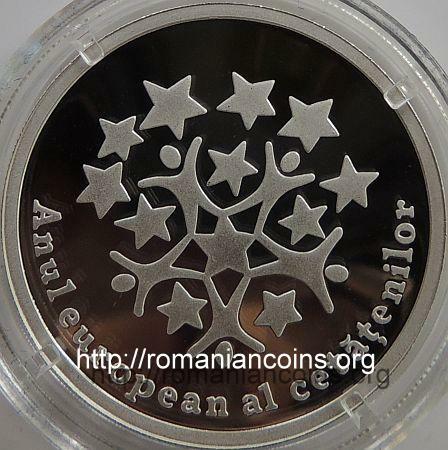 year 2013, circular inscription REPUBLICA MOLDOVA meaning "REPUBLIC OF MOLDAVIA" and the coat of arms of the Republic of Moldavia, in exergue horizontal line and denomination "100 LEI" an abstract drawing made from 12 stars, the 12th being formed from stylised human silhouettes, inscription "Anul european al cetăţenilor" meaning "European year of citizens"
The coin belongs to the Historical events series. 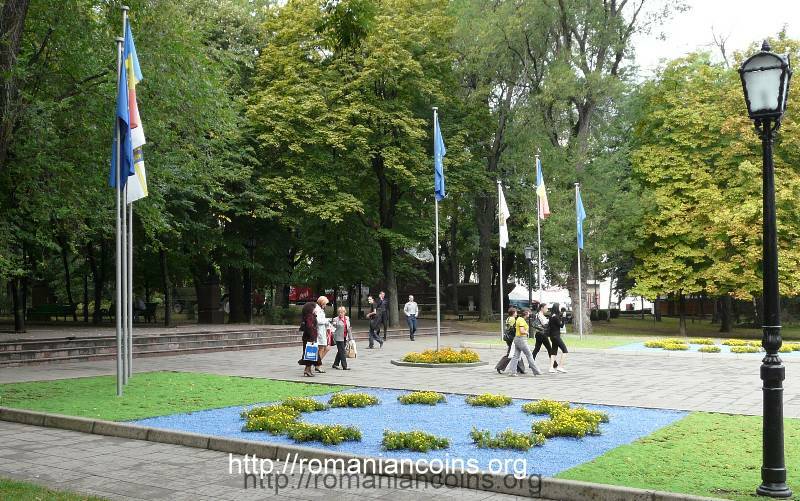 The European Year of Citizens aims to promote the rights of the European Union citizens. It also celebrates 20 years since the signing of the Treaty of Maastricht, the first to introduce the concept of European citizenship. 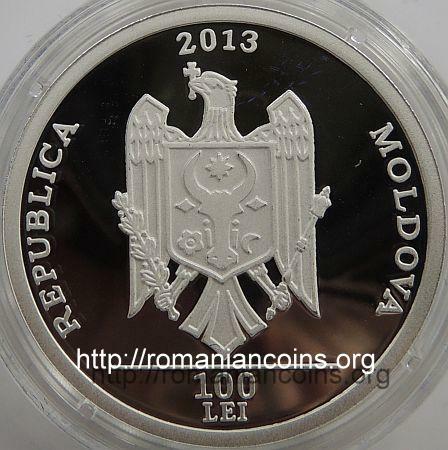 2013 is the European Year of Citizens also in the Republic of Moldova, country reaffirming, this way also, its commitment to become an EU member.